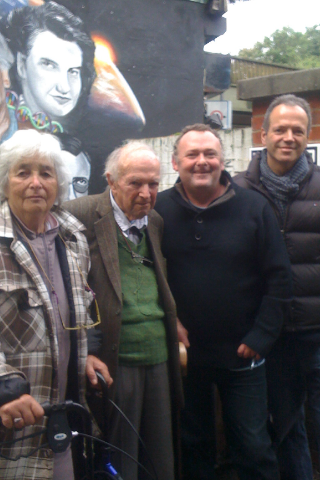 Rosalind Franklin’s brother Colin Franklin visits our project with his family to see her image in our heroes wall mural . A real honour. Made our day.